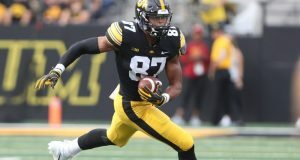 Rodney Anderson is certainly an interesting prospect in the 2019 rookie class from a talent perspective, but his injuries are likely to give dynasty owners pause and rightly so. 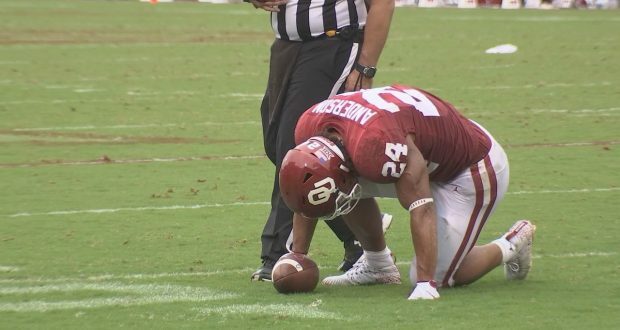 During his time at Oklahoma, Anderson only played in a total of 17 games, with 13 of those games coming during the Sooners’ run to the College Football Playoff in 2017. Because of this, his play on the field can only be judged during one season of play, leaving Anderson as one of the most polarizing prospects in this year’s class. Let’s break down Anderson’s injuries in more detail and talk about what they mean for his value from a dynasty perspective. In 2015, Anderson was buried on the depth chart but was playing on special teams, which is where his season started and ended. During the team’s second game of the season against Tennessee, Anderson fractured the fibula (outer lower leg bone) while covering a kick-off, ending his freshman campaign early. Shortly after he sustained the injury, he underwent surgery to stabilize the broken bone and ligament and didn’t play again that year. Most athletes after this type of surgery can get back on the field in about 9 months and can perform well after they do get back out there. For example, Marcus Mariota, Derek Carr, and Odell Beckham all have fractured fibula injuries in their injury history. After spending the rest of 2015 and early 2016 rehabbing from his broken leg, Anderson appeared ready to step into a larger role for the team in 2016. However, he suffered a fractured C5 vertebrae in his neck in August and didn’t play in a single game in 2016. To my knowledge, this injury was treated non-operatively given that reports indicates he spent three months with a cervical collar on around his neck to stabilize the broken bone. This type of injury is typically a ‘freak injury’ and can’t be predicted, so this shouldn’t count as a knock against him. Given that Anderson didn’t require surgery on his neck, we can assume that no nerve damage was sustained with the broken bone in the neck. This type of injury can be much more serious if the fracture becomes displaced (out of alignment), but by all accounts, there is no concern for Anderson moving forward when it comes to his neck. Just two games into the 2018 campaign after a breakout year in 2017, bad luck found Anderson again as the team faced off against UCLA. Late in the first quarter, Anderson suffered a right knee injury, which was later confirmed as a torn ACL. He underwent surgery to reconstruct the torn ligament and began rehabbing shortly thereafter. Now about five months removed from surgery, it’s unclear what exactly Anderson is doing at this point in his rehab and in his offseason program. Typically at five months out, athletes are running in a straight line and doing some light agility work. However, cutting and participating in football-specific drills aren’t typically started until about six or seven months out at the earliest. 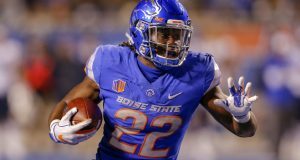 With the NFL combine set to begin in early March, it’s possible that we may not get to see Anderson perform in all of the drills, especially those that involve cutting. If he does compete there, it will certainly be at less than 100%, so dynasty owners will need to consider this when evaluating the Texas native for their rookie drafts. When we consider Anderson for the 2019 season, I have no reservations about his availability to participate in training camp and be ready for Week 1 of the 2019 season. However, this torn ACL will make Anderson more likely to suffer a subsequent ACL injury during his playing time in the NFL.